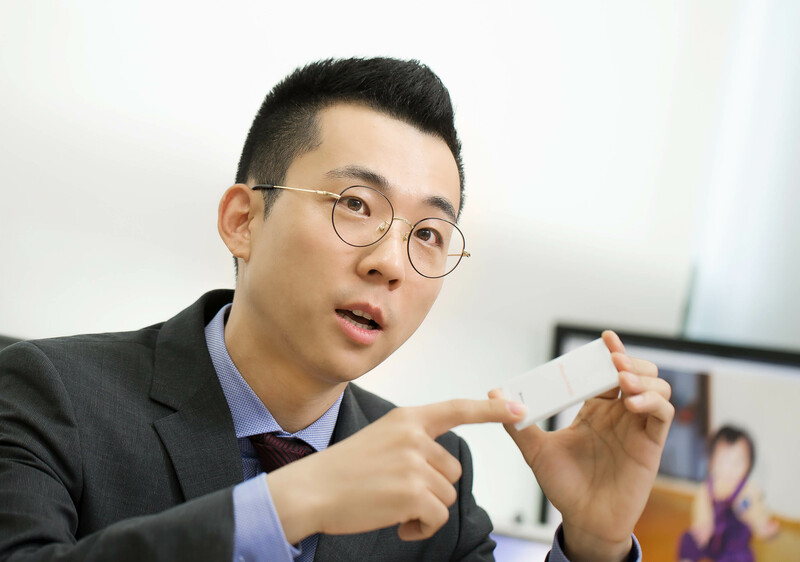 Professor Hyun-Wook Lee in the School of Energy and Chemical Engineering at UNIST. Their work has been published in the prestigious journal 'Advanced Materials'. ▲ Shown on the left is a typical lithium metal and shown on the right is a silicon-coated lithium metal. Silicon coatings appear to alter dendrite formation and growth, suppressing the volume expansion of Li metal. In situ optical microscopic study was also carried out to monitor the electrochemical deposition of lithium on the LixSi‐modified lithium electrodes and the bare lithium electrode. 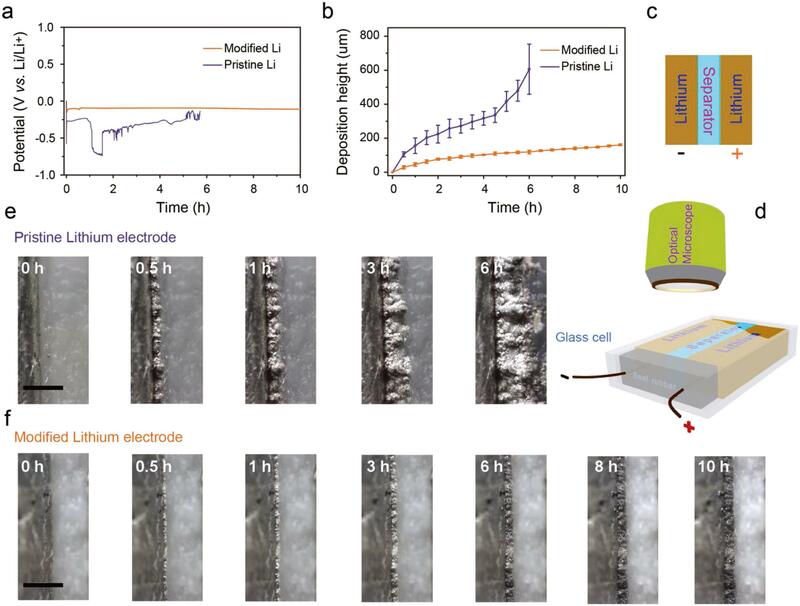 Conventional lithium metal anodes tend to form dendritic structures, which are known to trigger internal short circuits by piercing through the battery separator. 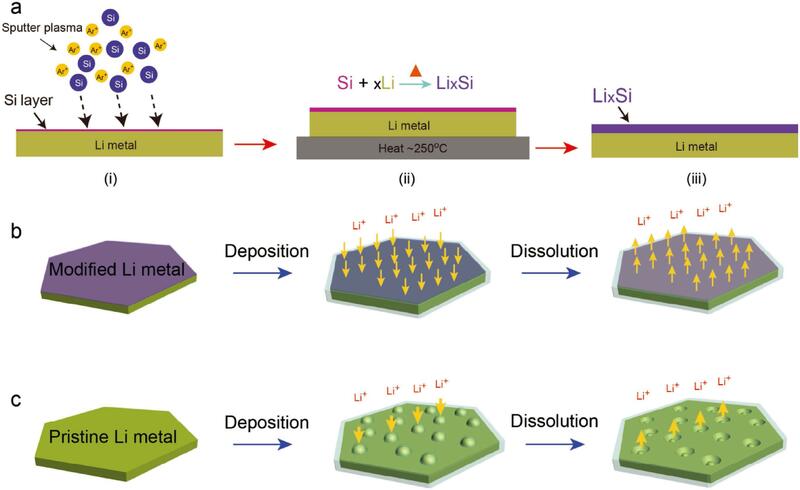 However, it is observed that a much more uniform lithium dissolution/deposition on the LixSi‐modified lithium anode can be achieved as compared to the bare lithium electrode. 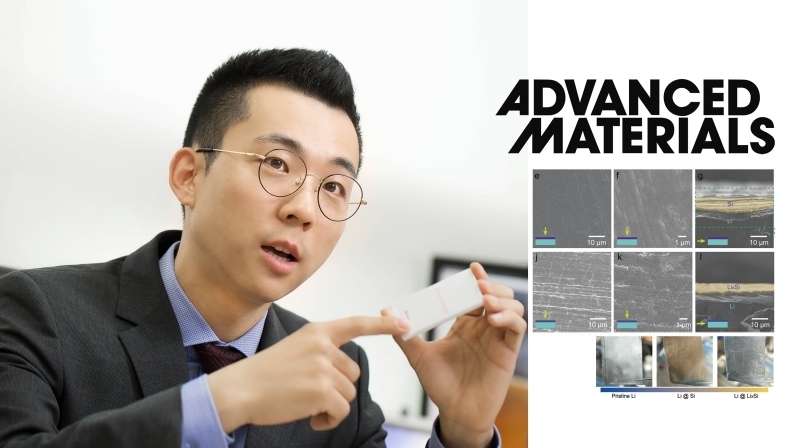 Wei Tang et al., “Lithium Silicide Surface Enrichment: A Solution to Lithium Metal Battery”, Advanced Materials (2018).